What is the difference between gnocchi and cavatelli? When you mention pasta, what usually comes to mind for many people is Italian cuisine. As a matter fact, pasta has always been associated with Italy and Italian cooking. To be fair, pasta did originally come from Ancient Rome. Although many historians believe Arabs were the ones who introduced the cultivation of durum wheat centuries ago to locals in Southern Italy, more particularly Sicily. To this day, the very ideas of Italy and all types of pasta are so intertwined in pop culture that they are even depicted in many iconic movie scenes. In fact, among the most famous scenes in Mafia movies involved Italian Americans preparing delicious pasta dishes. Yep, gangsters cooking, or eating, yummy pasta dishes. What would make more sense than that? But yummy sauces aside, do you know that not all pasta are created equal? According to American celebrity chef Mario Batali, one of the most unique and delicious types of pasta around is… no, not spaghetti (although for us, spaghetti is equally scrumptious), but the cavatelli. 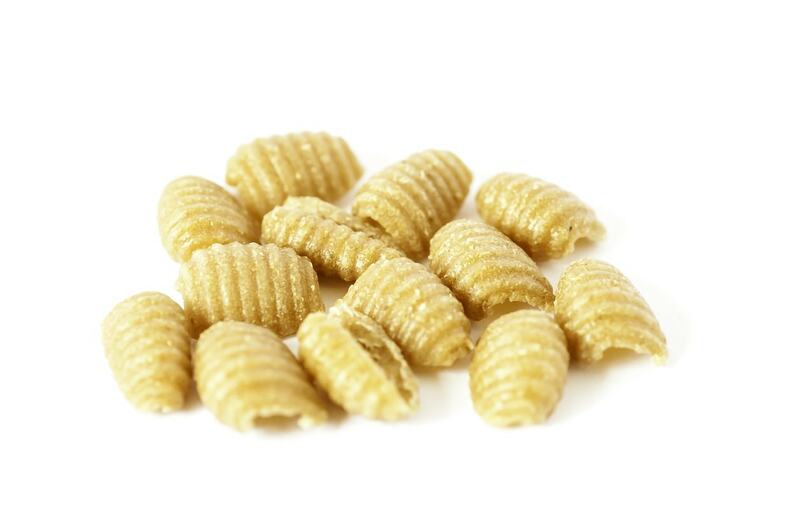 For those of you who are not so familiar with them, cavatelli are small pasta shells made of eggless semolina dough. They are shaped like mini hotdog buns (or little bicorn hats, for others) and are most often cooked with thick sauces or pasta salads with dressings. Sometimes cavatelli are made with ricotta cheese mixed in with the semolina dough. Now those are called ricotta cavatelli. Sounds positively delicious, don’t you think? 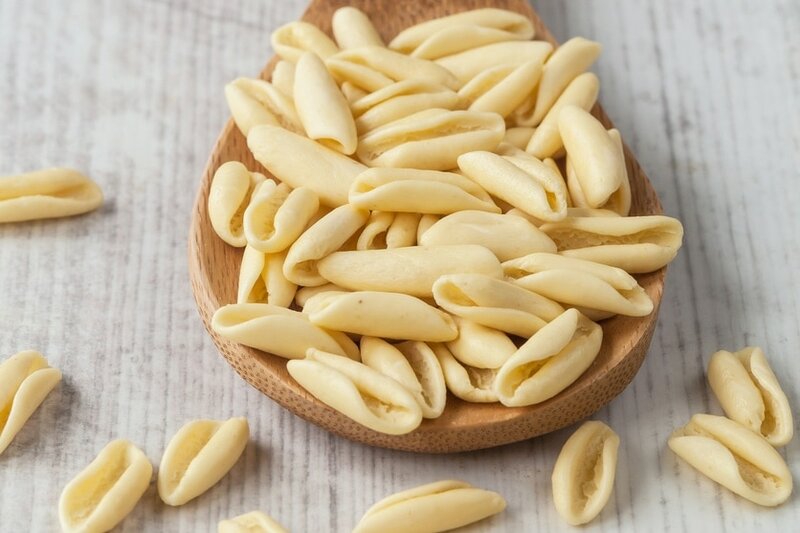 Now, the name cavatelli literally means “little hollows.” It comes from the Italian words “cavare” which means “to hollow” or “cavato” which means “gouged” and refers to the hollowed or scooped part of each pasta shell. Cavatelli is sometimes confused with casarecci. But if you look closely, you will find that the former are short and stout while the latter are narrow and longer. In the mid-20th century, particularly in the 50s and 60s, cavatelli dishes were considered special by most Italian American families. This was because they were typically only served during special occasions. For many Italian Americans, and for those who used to watch The Sopranos, these cute pasta shells are called gavadeels [gah-vah-deels]. 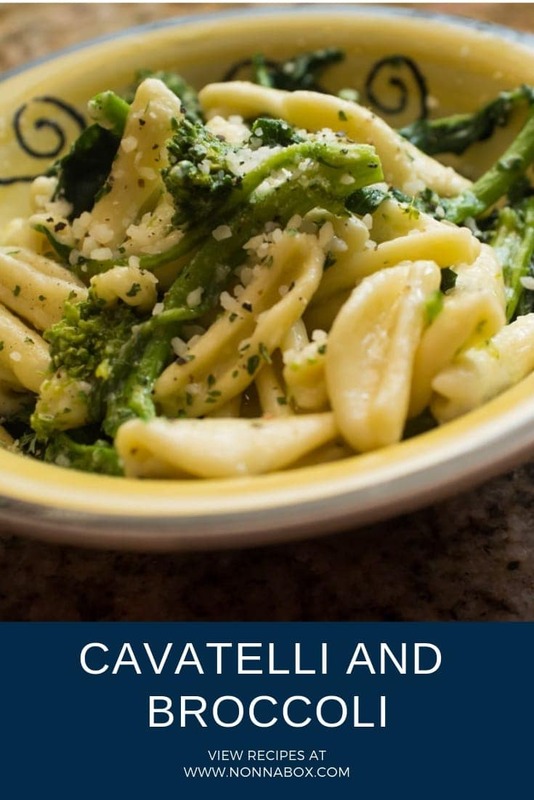 But technically, it is spelled as cavatelli and pronounced as kah-vah-tell-li. Quite often, people mistake cavatelli for gnocchi because they sort of look the same. But actually, gnocchi are typically bigger and not hollow. Due to the common mistake, some people actually call this pasta gnocchetti [nyo-ke-ti]. Aside from that, there are many versions of cavatelli all over Southern Italy. As a result, they are called various names. Some of the most interesting ones are the parmarieddo [par-mar-ye-doh] in Campania, orecchie di prete [o-re-kyi-di-pre-teh] in Abruzzo, and pizzicarieddi [pit-zi-car-ye-di] in Apulia. In Sardinia, pasta that are shaped like cavatelli, only it is flavoured with saffron, are called malloreddus [ma-lo-reh-dus] or gnocchetti sardi [nyo-ke-ti-sar-di]. It is estimated that cavatelli has around forty different names all in all in Southern Italy alone. However, they are mainly names locals use within the 7 regions. So, have you seen and munched on cavatelli by any other name before? With your pasta dough, roll out a rope that is at least a quarter inch thick. Slice the dough rope into short sections, shorter than an inch each. With a gnocchi board and using two fingers, press and roll each dough piece downward. This will result in ridged curls as you do so. Ecco! You now know how to make cavatelli pasta. After making your own cavatelli, it is, of course, only natural that you immediately use them. 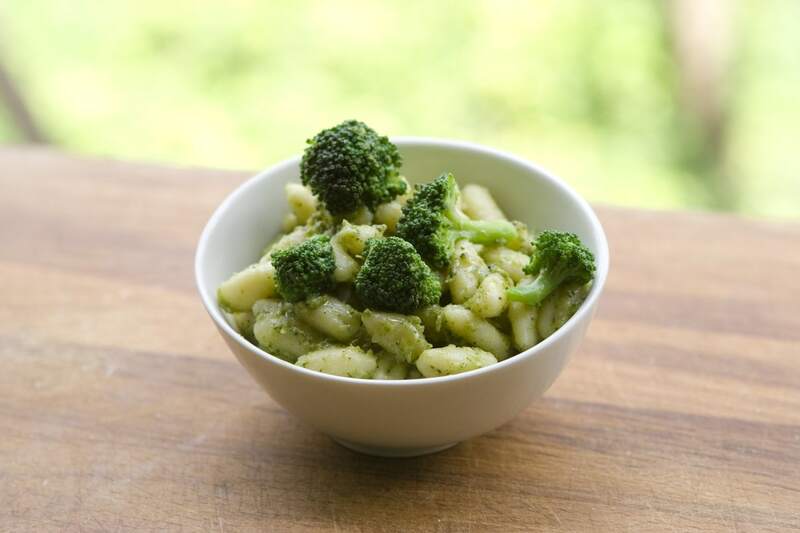 Well, you can start with this popular traditional Italian dish: Cavatelli and Broccoli. 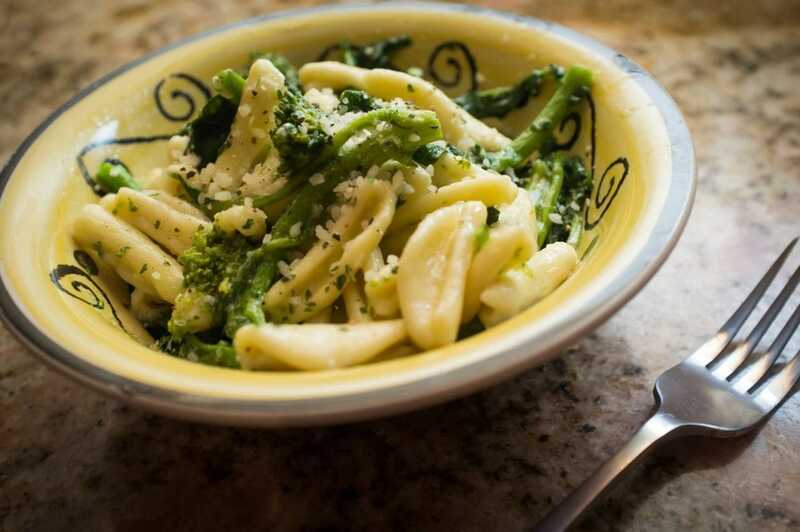 Follow the authentic cavatelli and broccoli recipe below. In a saucepan, heat the extra virgin olive oil over a moderate heat. Once the oil is hot enough, immediately add the minced garlic. Cook and stir until pale golden. Then, add the broccoli, red pepper flakes, salt, and pepper. Stir for 2 to 3 minutes. Add the chicken broth and simmer for 5 to 6 minutes or until broccoli florets are cooked. Set aside. In a pasta pot, boil salted water and cook the cavatelli. If you're cooking fresh pasta, they should be done in 5 to 8 minutes, depending on the size of the pasta. If you're using dried cavatelli, they may take up to 15 minutes to cook. Drain pasta and add them to the saucepan. Toss with the sauce and add grated Pecorino Romano cheese. Cook over low heat for about a minute. Sprinkle more grated Pecorino Romano cheese on top before serving. Best paired with a glass of Pinot Grigio or Sauvignon Blanc. I’m a broccoli lover and this recipe will definitely be an addition to my list.. Thank you, Nonnabox! 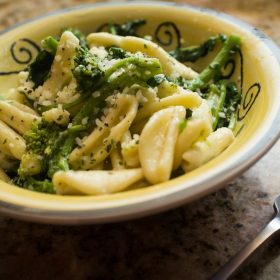 I steam my broccoli first, otherwise find it too crispy and uncooked compared to the creaminess if the cavatelli.,Orecchiette are a completely different thing in southern Italy. Close, but little round disks, kind of inverted , open cavatelli. (I’ve” helped make hundreds of them) I didn’t know there were so many other names though. Thanks!